Motivated Seller!!! Picture yourself relaxing by a cascading pool overlooking your lush, green pastures while the beautiful Texas Hill Country frames the sun as it slips behind the horizon. 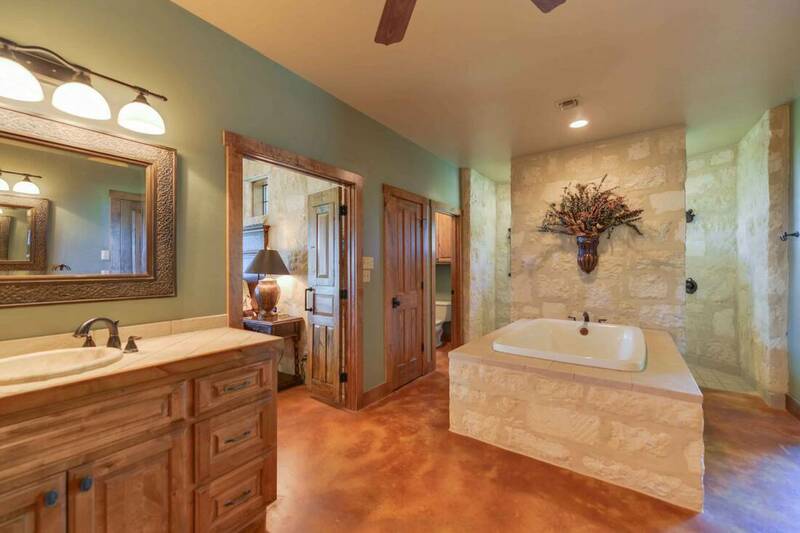 Open Gate Ranch is an amazing little piece of heaven where the Hill Country meets the brush country. 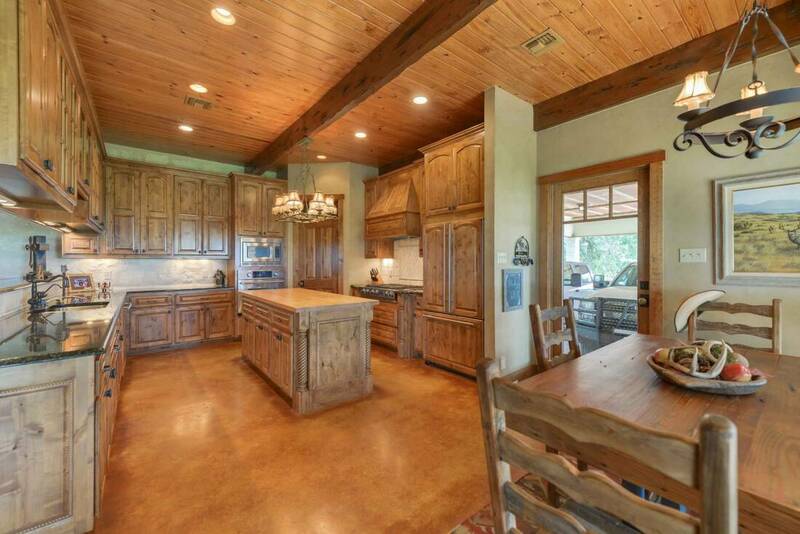 This 633 +/- acre luxury estate offers a unique chance to enjoy breathtaking distant views of the surrounding hills, an exquisite custom home, beautiful horse facilities and massive whitetail bucks, all on an income producing ranch less than an hour to downtown San Antonio. Delight in the serenity of end of the road privacy while still having valuable highway frontage, enabling you to enjoy the tranquil ranch life yet recognizing the property’s investment value. 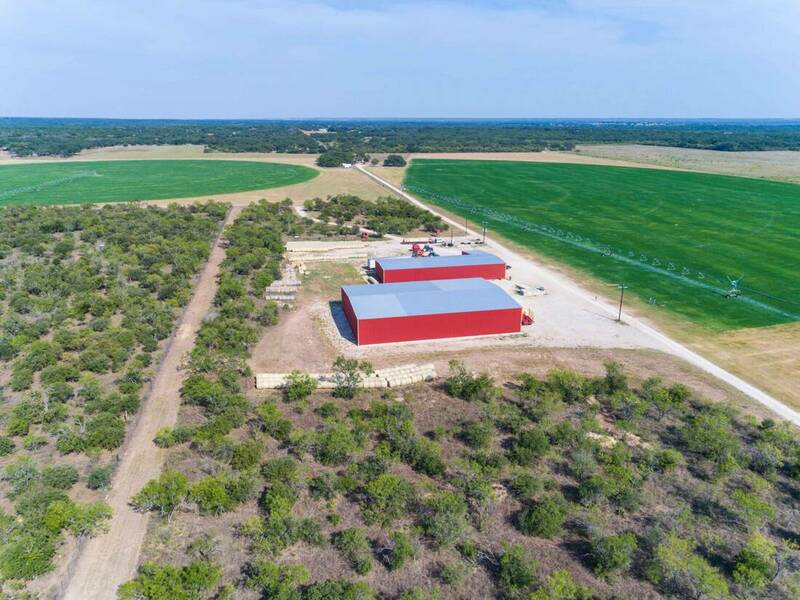 This is a rare opportunity to own a diverse recreational retreat boasting highly productive soils and irrigation water with hill country vistas and brush country all in one remarkable ranch. Headquarters: 6.5 miles north on Hwy 173 turn right onto CR342, proceed one mile then turn left onto CR3421 which dead ends into the ranch entrance. Western portion: highly productive clay/loam soils which have largely been cleared for crop production with approx. 300 acres sprigged into Coastal Bermuda, 80 acres native field to be improved for coastal, the balance is traditional South Texas brush. Each field can usually produce 5 cuttings per year with hay yields from 70-120 sq bales to the acre per cutting. Hay is moved to two hay storage barns totaling over 21,000 sq. ft. (50×140 and 100×140) which can hold over 40,000 sq. bales. Bale production is highly automated with the use of a bale bundler limiting the labor required to maximize profitability and handling ease. Fields are fertilized each cutting under the supervision of Helena Chemical Company and supported by annual soil testing to balance crop needs to enhance quality and productivity. Weeds are sprayed as needed and an annual application of Medina Soil activator and molasses enhance the soil to maintain its performance. All hay equipment and inventory is available for sale. Whitetail deer are maintained in the house pasture. The native whitetails were removed 10 years ago and the ranch was stocked with 6 bred does and 3 buck fawns one year later. The herd has been built up naturally to 40-50 adult deer providing for an annual harvest of 15-25 deer depending on fawn recruitment. The ranch is under MLD Harvest program providing for extended tags and seasons by TP&W. Over the past 4 seasons the ranch has harvested bucks scoring 265, 217, 189, 182, 173, 170, 162, 158, 153. This season looks to add to that list with several high scoring bucks on the list, and the crop of up and comers looks to continue the trend into the future. Dove hunting is one of the ranch’s untapped resources, being the northernmost fields on Hwy 173, sunflower or sesame production should yield a large number of birds. Comes equipped with 4 blinds, 5 protein feeders (approx. 1000 lbs each), and 4 corn feeders (350 lbs each). All have been strategically placed on the ranch. No current lease or production on the ranch. Seller will convey 50% of owned minerals upon closing. Owners are licensed Agents with Republic Ranches.